Summary: In June 2015, CCM found that the undersupply of battery grade lithium carbonate in the spot market boosted its price. 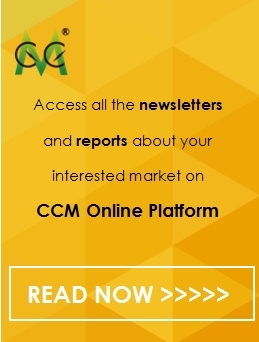 CCM predicted that, as the strong demand from the downstream industry continued subsequently, along with the constant influence of the weather on the supply of raw materials, the price of battery grade lithium carbonate would keep rising in China. Battery grade lithium carbonate: by USD816.90/t (RMB5,000/t) to USD8,985.90/t (RMB55,000/t). According to data from the Ministry of Industry and Information Technology of the People's Republic of China, the shipment of alternative energy vehicle in China in the first 5 months of 2015 was 53,600, increasing by about 3 times YoY. 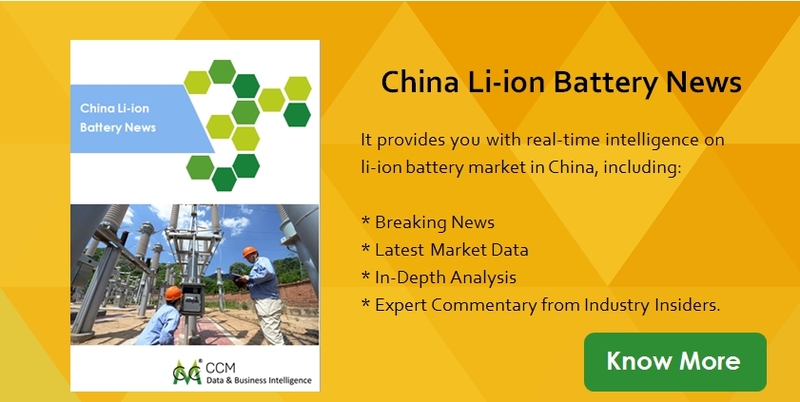 On the basis of data from the Lithium Branch, China Nonferrous Metals Industry Association, the average price of battery grade lithium carbonate in May rose by approximately 10% over that in April. As one of the 10 key development fields in Made in China 2025, the alternative energy vehicle industry will receive key support from the government. With policy guidance, CCM predicted that, the alternative energy vehicle industry will turn into explosive growth in 2015. Relevant upstream Li-ion battery industry chain, such as battery grade lithium carbonate, power Li-ion battery, Li-ion battery equipment and electric machinery, will benefit the most. Considering the current situation, the explosive growth of Li-ion battery industry has been brought by the rapid development of the alternative energy vehicle industry. With the upward demand for alternative energy vehicle in the future, the price of battery grade lithium carbonate will be further boosted in China. Recently, the meteorological organizations of many countries confirmed the impact of El Nino on daily living and production. In terms of lithium ore, the reserves of lithium resources in Bolivia, Chile and Argentina, located in South America and known as Lithium Triangle, respectively account for 50%, 25% and 10% of the global figure. The world lithium giant enterprises, including SQM Corporate (SQM), Rockwood Holdings, Inc., FMC Corporation (FMC) and Orocobre Limited are situated here. However, the temperature keeps rising due to El Nino. The rainfall in South America may increase dramatically and cause the flood again. Thus, the supply of lithium carbonate will be impacted. Early at the end of March 2015, a flood attacked Chile. The local supply and circulation of lithium resources were influenced distinctly. SQM, the world's largest lithium carbonate manufacturer, suspended the production in Chile and predicted that its 2015 output of lithium resources would decrease by about 20% YoY. 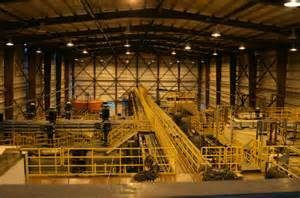 FMC, another lithium giant player, also stated that relevant production facilities and transportation were damaged. Lithium resources were in short supply. Therefore, at present, lithium carbonate has been rounded up in the international market. The price of lithium carbonate is raised. Undersupply remains in the spot market. Influenced by the constant upward price of lithium carbonate in the international market, the price of lithium carbonate will go up further in China.